I just recently bought my self a new car (2006 civic) and have decided that this would be a good time to install my first car audio system. I have decided to go with the polk sr6500's for my front speakers (i am not having rears) powered by the polk c300.2. I have two jl 8w7's that will be housed in custome fiberglass enclosures in my trunk right next to each wheel well closest to the back of the trunk. Each of these will be powered by it's own polk c500.1. As for my head unit, here is the great part. I am not going to have one. Since i like computers and work them alot i have decided to put a computer in my car that would handle everything a head unit normally would and a whole lot more. 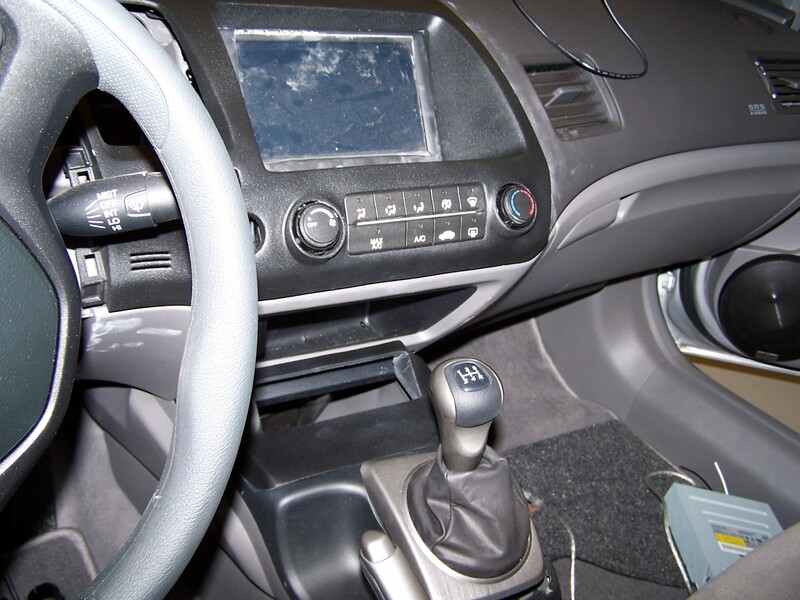 (MP3, DVD, Wi-fi, Gps Nav, Phone hands free, even things like nes and sega emulators courtesy of two wireless game pads in the glove box ) All of this will be controlled by a 7" touch screen monitor that will be put in my front dash along with a lite-on dvd-rom drive. Well anyway i started my install over the weekend i knocked out all the dynamatting (wow! it was alot of dynamatting, I put two layers of dynamat extreme on everything) and running of wires (power, speaker, vga, usb etc etc) and thought i would put some pictures up of my progress so far. I had no idea that dynamatting was going to be the pain in the **** that it was but i got it done and i must say i was pretty proud of the job i did especially beacuse this is my first time doing anything with a car. I was really suprised in how quite the inside of the car is now after i finished all the dynamat. Driving to work on monday was awseome, pretty much zero road noise ! I will post more pictures of my progress as it comes along. I am still waiting for my 6500's to come in that is why they are not installed yet. The next thing on my agenda is to get the work started on my screen and dvd-rom drive. As well as put the finishing touches on my carputer, i have it all assembled in a gutted amp case i am now just working with the software and tweaking it just how i want it before i put it in the car. This is the completed trunk, including side walls, spare tire well and trunk lid. All three with two layers. This is my first layer on the door. Notice I also put a lot of dynamat on the inside of the door as well against the exterior panel, that really changed the sound of the door. 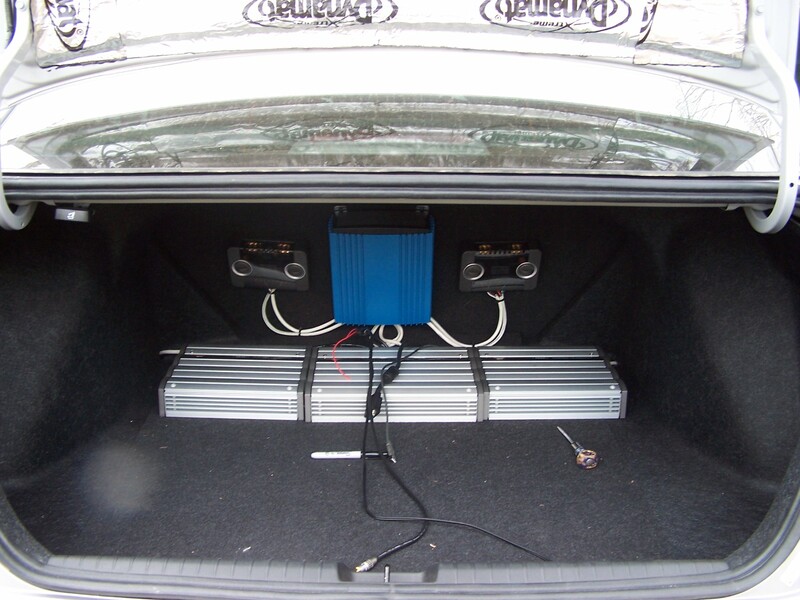 My 12volt and common ground distribution blocks are both located under the backseat. All wires are currently just hanging loose in my trunk waiting to be connected up. damn brother. For a first timer with Dynamat, I'm VERY impressed. It seems everyone ends up with melted black goo all over. Great and clean job. Keep it up! How much did that end up costing you for all of it? I need to do it to my car... might soon! Well i actually was able to buy it on accomodation pricing direct from dynamat through my work so i got it really cheap. I bought 1 bulk pack, 1 trunk kit and 4 door kits, all of that eneded up costing me just a little over 200 bucks. If you have been thinking about dynamting you car i can now say with expereice DO IT! It makes a huge difference. I have not been able to attest to the sound quality difference yet becasue i do not have my speakers installed, but to just hear how quite the ride is now is really phenomanal. 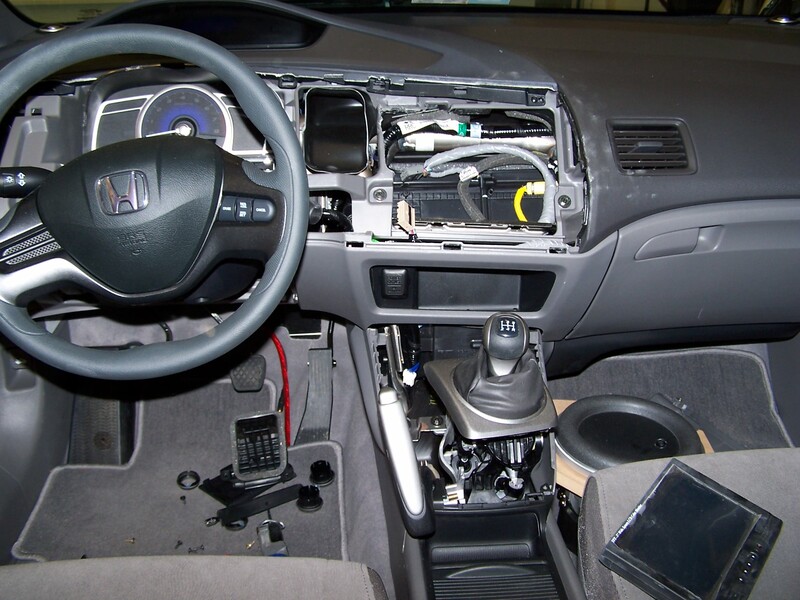 holy crap, dude... you decided to shred a brand-new car as a first project... that's bravery right there... and well worth it, too, by the looks of it... keep up the awesome work! 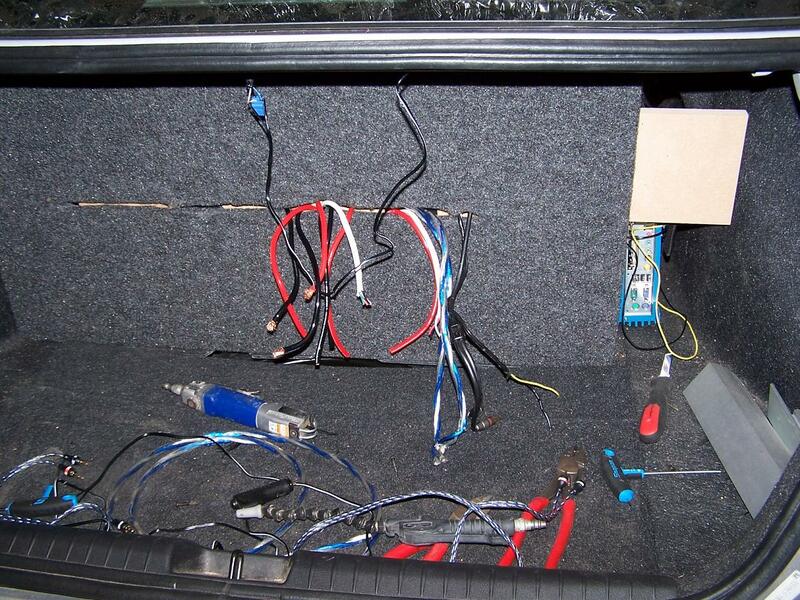 I can say one thing with absolute certainty, You are going to do some pretty amazing car stereo projects in your time. With that said, WOW I love it and can understand how much it should quite the ride down. 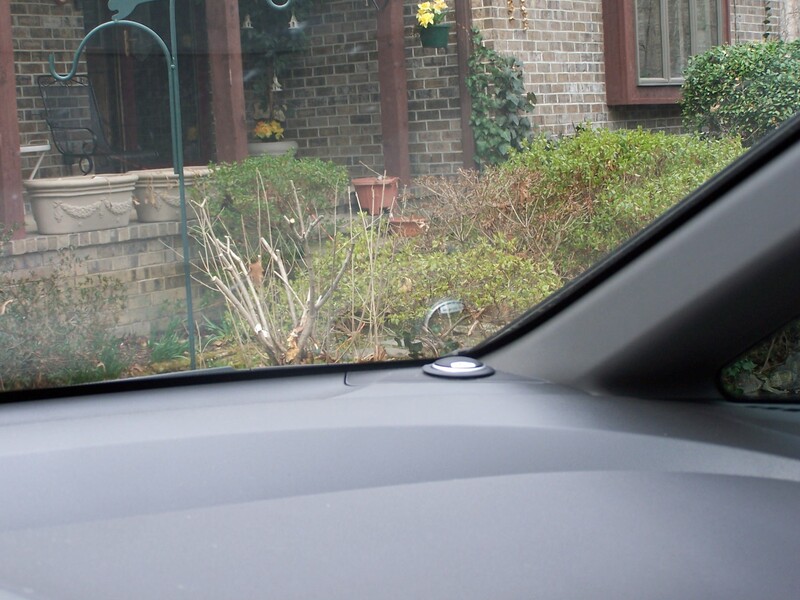 Take care of the car more than ever now because it is not easy to recycle dynamat into another vehicle. But then again it all only cost you $200 WOW. Just make sure you put real quality speakers in now because it would be a waste to hear MTX in that thing. Also if you are looking at polk subs make sure you read ALL reviews first beccause I almost made the mistake of purchasing a pair of the silver ones with yellow paint on them. ALL in all good luck with the honeys and always wear a condom. who drinks on a wednesday night?? 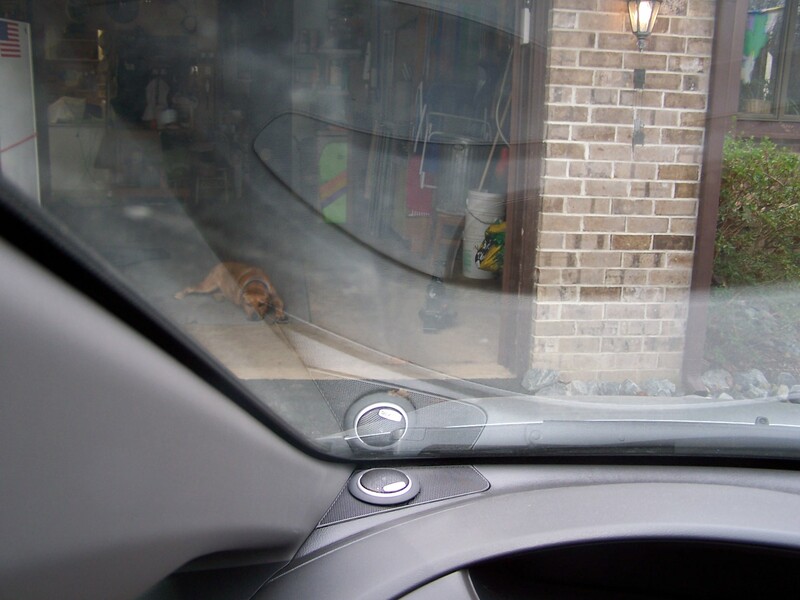 Take care of the car more than ever now because it is not easy to recycle dynamat into another vehicle. 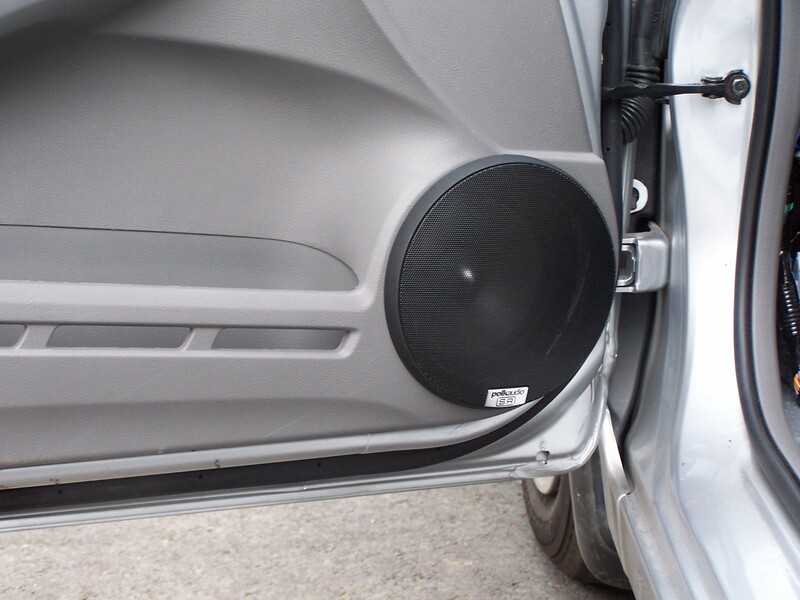 Just make sure you put real quality speakers in now because it would be a waste to hear MTX in that thing. O no... MTX will not see this vehicle. This is strictly sq i am not into the whole spl thing. I am getting a pair of Polk SR6500's and two JL 8w7's. am getting a pair of Polk SR6500's and two JL 8w7's. wow, i can def tell that i am not into car audio as much i have never even heard of those other names, i will have to check them out. I was originanly attracted to jl becasue i could get them on accomadation pricing as well. those are wonderful looking cars. So much so that when I graduate in May I was hoping for an IS250 within the next year. 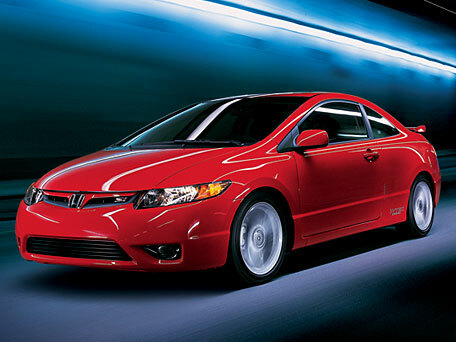 After seeing the new Civic SI, I changed my mind and will end it up saving $15,000 in the process. 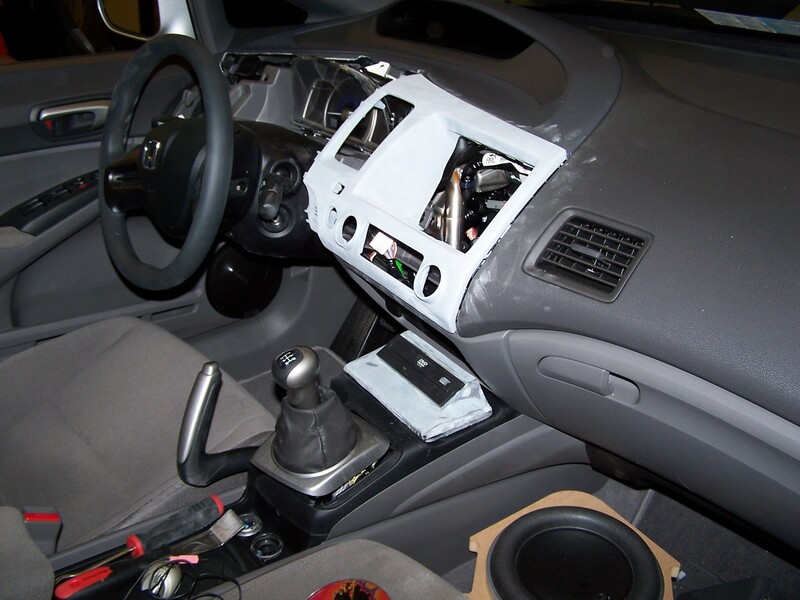 it's not that you're not into car audio, it's that you haven't been introduced to all the internet only companies. This can be a very good thing at times. Stick with your w7's... no need to sway from a great thing. But I'm sure some on here will tell you to sell your civic for a cobalt. I on the other hand favor the H.
of course you'll always find someone who will bash a product they don't like, but where's the harm in looking around before making a many-hundreds-of-dollars decision? 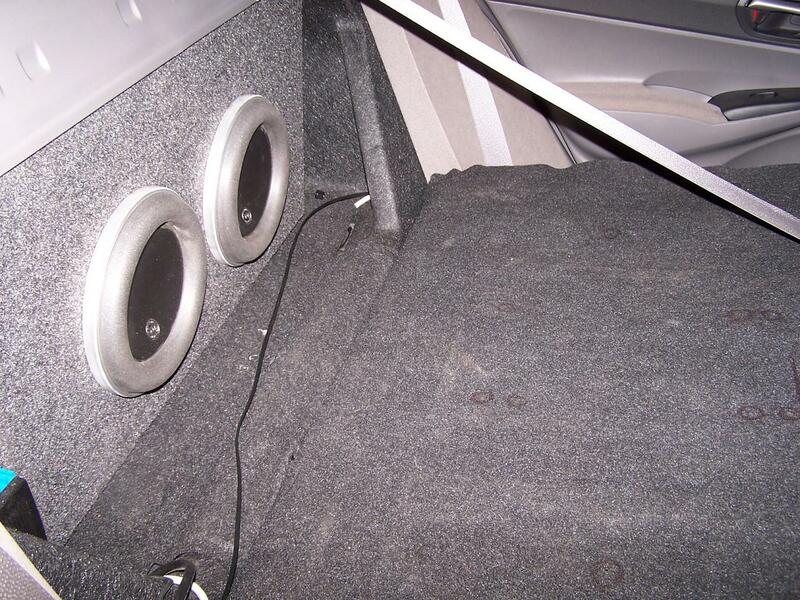 Well today I got around to installing my speakers and kind of doing a dry fit on all the amps in the trunk. I dont think i have ever had to use my drimmel as much as i did today. First off the speaker holes in the door were suposed to 6 1/2 but umm that was not the case. They used this special bracket that was 6 1/2 but the speaker itself was a lot smaller. I had to cut out alot of the door panel to get my sr6500's in place. Also for the tweeters what i thought was going to be a blank hole where they would put the tweeter for the upgraded sound system just turned out to be a solid peice of dash under a pretty usless plate. I had to drimmel that boy up as well to mount my tweeters in the dash. All in all though i think it looks pretty good. As for the amps in the back, well there is not much to say about them the only thing i need to do now is decided how i am going to fasten them in place, i was thinking of putting them on a shelf raised up just a tad but i dunno. O, and in case you were wondering, that blue thing on that back of my seat that looks like another amp is actually the computer i built for the car. Looks great. 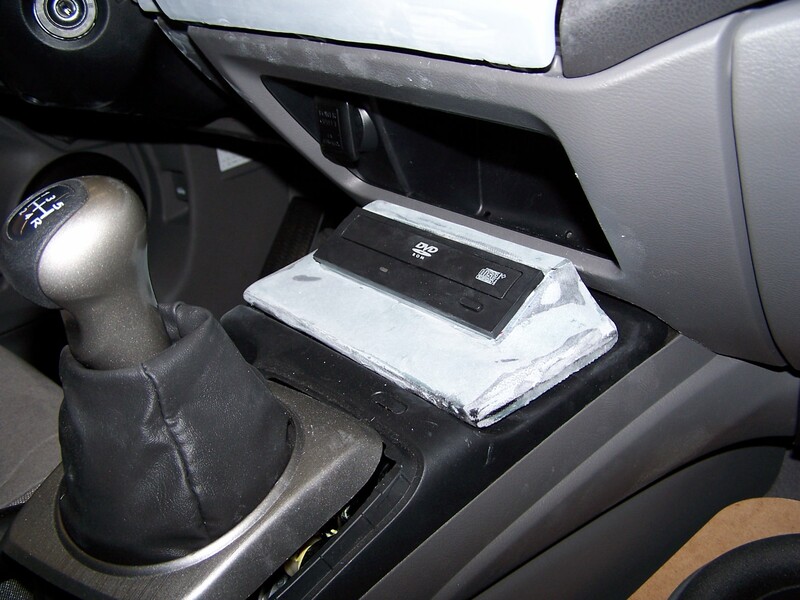 I know nothing about CA but, I have always toyed with the idea of using a comp in my car. What are the full specs of the comp? 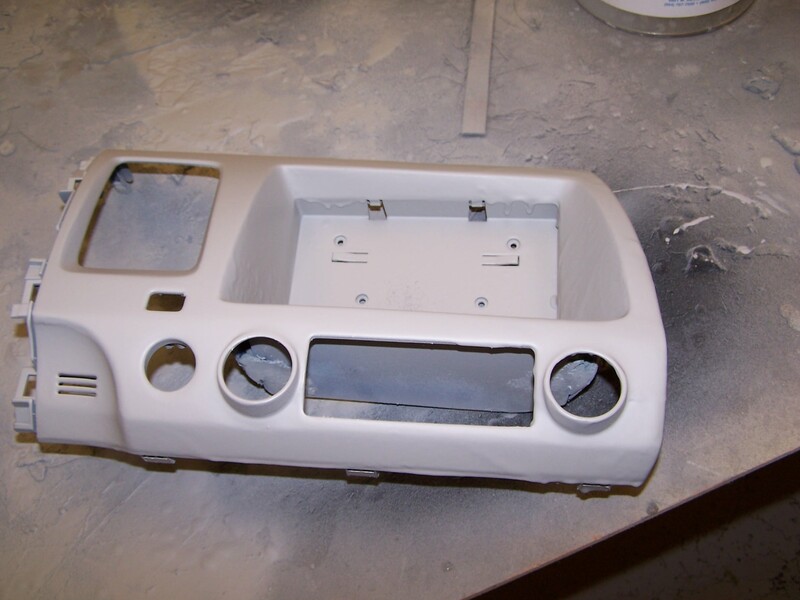 There's a sticky at the top of the car audio forum called something like SR6500 white sheet. Also here are the specs listed on Polk's site under the SR6500's. The computer is built off of one of via's mini ITX boards with an integrated Via C3 1.3Ghz processor on a 400Mhz fsb. Using 512Mb of DDR 2100 with timings of 3-4-4-5-t1. I am using the integrated via rage graphics on the motherboard. Sound blaster audigy 2 Nx in a pCMCIA slot. 60Gb western digital 5400rpm 16Mb cache 2.5" hard drive. The os i am using is a hacked copy of windows xp embeded running with the nlitexp patch. I keep adding more and more to it everyday. ROFL! Wow...gee...man. So that means my post was completely useless! gorgeous. a gorgeous 19k car. I can't believe you think it's so gorgeous. I think it looks nice, and nothing like a Saturn. We have a 2000 Civic EX and it has been great, no issues at all. Looks really good. I wouldn't have the stones to pull my brand new car apart like that. That is actually something I can't wait to do once I get my new car . Well, everything is almost done with my car. Here are some pictures to get yall up to speed to everything that has been done since. Hey man, just wanted to let you know you inspired me to do the dynamat as well. 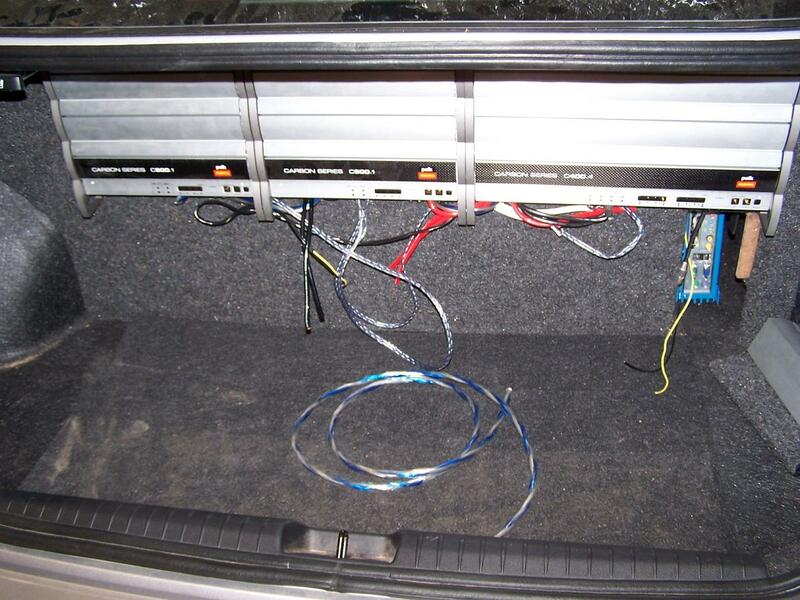 I was already in the process of installing amps, sub, HU, all around speakers and the Hornet 727t factory alarm upgrade system with an extra sensor for breaking glass and remote start. The dynamat will be a nice addition while I've already got the car in pieces... Good job with the install, your doing a great job if your just a first timer. The Civic is my second car, but at least I got it with power locks so I didn't have to install them myself, now that wasn't fun with my last car... Now if I can just get the oil leak and the vent in the center console fixed by the dealership. well yes i am a first timer..... but i can not take credit for the dash peices though, A friend of mine at work is doing all of that, I would have no idea how to do that. sweet, that's what I'm shooting for. Now I just have to wait for my sister to graduate in 2 weeks so she can move in with me and watch my son while I do it. It's really really really hard to get anything done in the car when you have a 10mo old in the back wanting to play with you.